Is a Diving Trip to Palau Really Worth It? 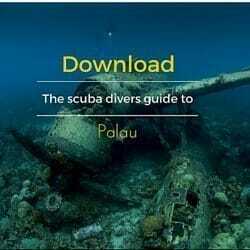 Palaudiveadventures » Is a Diving Trip to Palau Really Worth It? There’s nothing quite like planning your next diving trip abroad. The anticipation is building … You can’t wait. … because this time, you’re thinking of going BIG. You’re thinking about Palau. You’ve seen the way people gush about Palau online, saying how it’s a must, a dream, a bucket-list gem every diver needs to experience before they die. At this point, you’re 99.9% sure it’s where you want to dive this year. But there’s still this nagging 0.1% that’s holding you back. It’s worried about the back-to-back flights. The jet lag. The cost. The hassle. 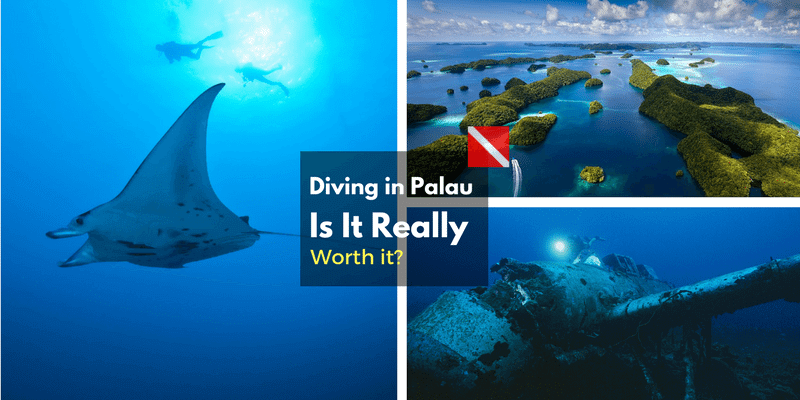 Is Palau really worth it? Is it really as great as they say? Well, if you’re looking for a truly unforgettable underwater adventure this year, the answer is yes, yes it is. The average temperature in Palau is a balmy, sunny 30C / 86F, virtually year-round. And because it’s so close to the equator, it’s also relatively sheltered from the seasonal storms that can obliterate plans in places like Cozumel and Cancun. This means way more trip-planning flexibility for you, without compromising your vacation experience. Everybody and their uncle knows about the Great Barrier Reef, but few people outside of the dive community have even heard of Palau. Vacation meccas like Hawaii, Mexico, and Australia attract hordes of tourists during their high seasons. Palau, on the other hand, remains a beloved, protected paradise for divers … and divers alone. Most tropical dive destinations boast a maximum visibility of about 30 meters (98 feet). That’s good, there’s no denying that. But compare that to Palau’s Blue Corner, whose visibility regularly exceeds 40 meters (120 feet). That’s a HUGE difference — one you’ll be hard-pressed to find elsewhere. There are plenty of articles that break down just how incredible the diving is in Palau, but it’s worth remembering that Palau is the ONLY place in the world where you can get your fill of sharks, manta rays, turtles, and other spectacular marine life, while also exploring intact war ships and planes from a genuinely historic World War II battle. Talk about one-of-a-kind. The truth is, there are endless reasons to take the plunge and choose Palau this year. Ultimately, the choice is up to you … but don’t let a little extra flight time stop you from experiencing one of the most jaw-droppingly beautiful dive spots on Earth. P.S. If you’re dying to come to Palau for the first time but have no idea how to pull it all together, give us a call at our U.S. office (310 321-2558), or contact us directly via Facebook Messenger in 1 click and we’ll help you figure it out. Sometimes getting clear, informed answers makes all the difference! © 2017 Palau Dive Adventures, All rights reserved.